My friend Danika brought me a large grocery bag of just harvested rhubarb. Now, I love rhubarb in any fashion or form, but as a juice, that’s new to me. So here is recipe as posted on our Recipe page of the web site. Easy and very enjoyable! This recipe comes from the cookbook Marathon County Back to Basics Cookbook. 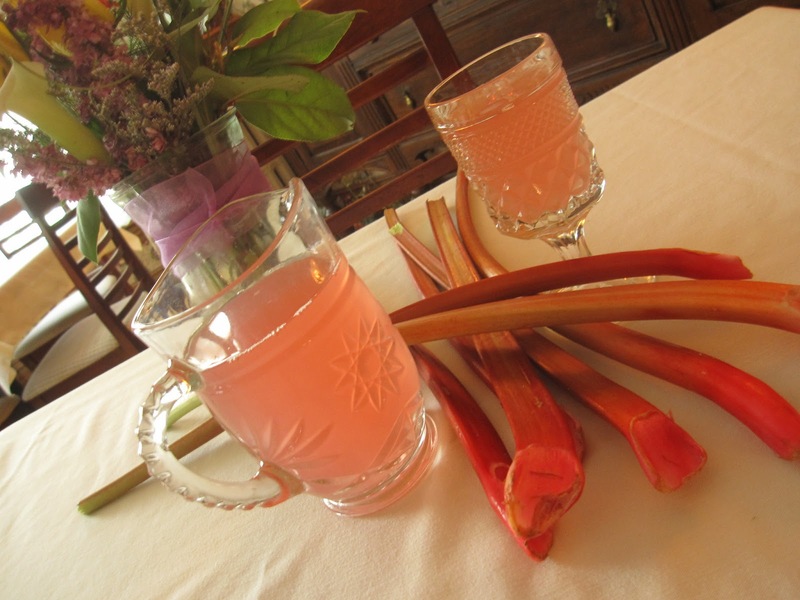 Bring to low boil, cook until rhubarb are tender. Strain to remove all pulp. Discard pulp. 1/4 cup sugar per cup of juice (you can adjust the sweetness as you see fit.) Spendia can be used also. Bring to boil to dissolve sugar. freezer containers and freeze stirring occasionally until well chilled. To serve- 1/4 cup slush in glass, fill glass with 7-up.